Unless you’ve been living under a rock, you have likely heard the buzz surrounding Apple’s new product launches. And the iPhone X has garnered the majority of the attention. Today is the official launch day for the device, meaning it is now stocked on store shelves for those who didn’t get in on the pre-orders. Getting your hands on one isn’t cheap: The phone, which is the highest-end in Apple’s line up, comes with a pretty hefty price tag, starting at $999. So what’s all the hype about? Here are three of the most note-worthy (and just downright cool) features you can expect if you get your hands on the device. 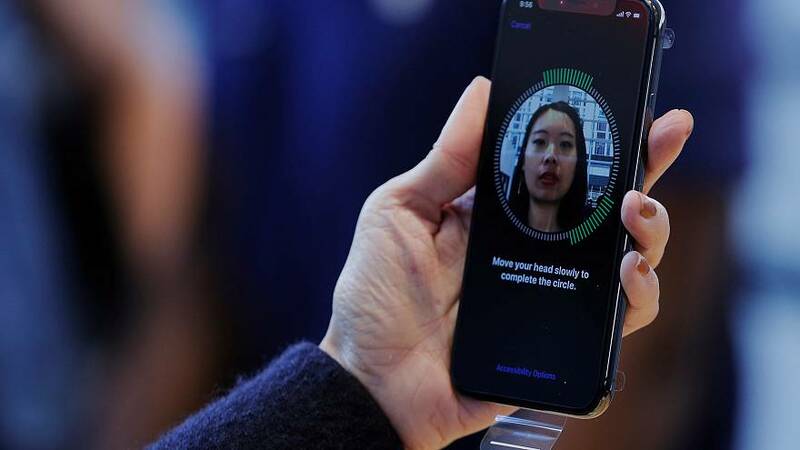 No more getting your thumb just so over the home button or having to type in your password three times when you’re in a rush — thanks to forward-facing scanners and an updated processor system, the iPhone X uses real-time facial recognition to scan your face and unlock your phone. Don’t worry, they’ve already guarded against someone using your photo to unlock your phone. According to Phil Schiller, Apple’s senior vice president of worldwide marketing, the new feature is much more accurate and safer than TouchID, with just a one-in-1,000,000 chance of letting someone else access your phone. The phone cameras are also calibrated for Augmented Reality, which enables you to superimpose images into the real world. And there are a slew of new apps that utilize the technology — like a new MLB app that allows you to hold up your iPhone at a game to see real-time information and stats superimposed on the field. Good news: You don’t need a brand new phone to take advantage of the feature. ARKit is also available for the iPhone 6s and the iPhone 7 with the upcoming iOS11 update. And for all the Bitmoji fans out there, with AR you can also create a new breed of personalized emojis — called Animojis — that use Face ID to recreate your facial expressions in an emoji (mostly animals for now) and send them in a message. The new wireless charging mats, called AirPower, will be available next year and can charge your iPhone (8 and above), Apple Watch and AirPods — all at once, with zero cords. Can we get a “hallelujah!” for no more tangled wires? While you’re thinking about upgrading (and how long it will take you to sock away an extra G), check out these seven surprising ways to get more out of the iPhone you already have. Need to know if something is level but don’t have time to dig through that old box of tools in the garage? Swipe right on the compass app and then turn your phone sideways. Your iPhone instantly turns into a digital level! We’ve all been there: You open the menu at a low-lit restaurant and can’t read a damn thing. So you flip on the trusty flashlight on your phone — and immediately regret it as everyone in the entire place turns to look at you, shielding their eyes. Hold down the flashlight app to select one of three different brightness levels, one being “low light,” perfect for dimly lit areas. Back to that menu — this time, the extra tiny print has you squinting to read the ingredients. Luckily your phone can help with that, too. Turn on the “magnifier” in Settings. Then triple click the home button to magnify anything you’re reading. A must-know feature for those of us always forgetting our glasses at home. Getting fed up with everyone thinking you’re arranging flowers all day? To clarify that you’re actually sipping a delightful glass of pink wine, simply hold down the letter that you’d like to accent (in this case, e) and select from the different accent options that pop up. Then get back to your weekend plans. #Roséallday. Some emojis (namely the people and the hands) can be altered to better reflect your skin color. To select a different skin color, hold down the emoji. A menu of five different shades will pop up for you to choose from. For better quality video, you can change the default video recording resolution to “4K” in settings. This allows you to shoot in HD. You’re enjoying a day at the beach when you spot a group of dolphins swimming close to shore. You rustle for your phone to snap a picture to document the Instagram-worthy moment, but by the time you type in your password and open the camera app, they’re gone. Next time be prepared with this trick: Simply swipe left from the home screen to access your camera. No need to enter your 6-digit password.